What is a High-Risk Merchant Account and Do You Need One? Have you found yourself asking “what is a high-risk merchant account exactly”? Many businesses find out that they are unable to get approved to accept credit cards after they have tried to get a standard merchant account at one or more traditional, brick-and-mortar banks. Being denied for a merchant account for an online business can be particularly stressful. Perhaps you have recently received a denial after applying. Or, maybe you are trying to avoid getting rejected in the first place. It is a good thing you found this blog to discuss next steps; and, also learn how to set up your business to be able to accept payments from customers online. Having the opportunity to sell online increases your ability to be successful. Being able to sell goods and services online AND getting paid efficiently creates a perfect scenario for increasing profits over time. Two Brothers. Two Cities. One Big Idea. Rod lives in Chicago, and his brother, James, lives in New York City. Both brothers are huge collectors of hard rock posters, original recordings, and autographed guitar picks. They send each other packages often that keep getting squished or mangled in the shipping process…ultimately ruining the memorabilia. The insurance that comes with package shipments cannot cover the damage of these unique items. Both brothers find it very frustrating to send small packages of memorabilia to each other between cities. They could do without having their precious Rock-N-Roll collectibles damaged in the process using the typical shipping methods. One day, they met each other in Cleveland. After visiting the Rock-N-Roll Hall of Fame and sitting down for a Mexican beer and some tacos al pastor, they started to talk about their package shipment frustrations. They talked about how the package trucks are designed to stack things on top of each other, causing stress on the weaker points of each package. 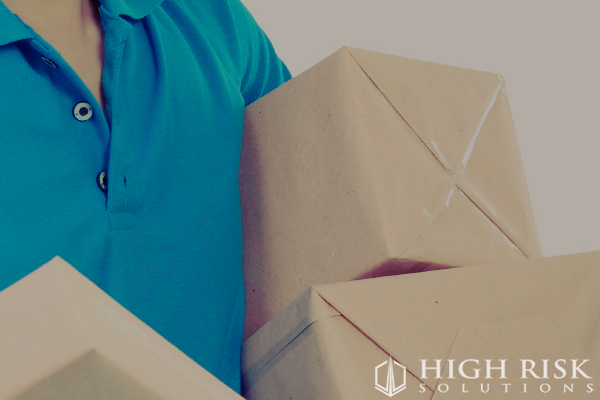 The increased pressure, caused by a moving delivery truck, leads to damaged packaging. There had to be a solution to this! Rod and James come up with an idea to help themselves and benefit others. They decide to start their own courier business. By redesigning for the safety of the package as well as its contents, the two brothers could deliver pristine packages of delicate content. Unlike traditional shipping methods, the packages shipped by the brothers would not be squished or forced to endure stresses that lead to damaged packages. Also, they both wanted to be able to split test their differing courier companies to see which city was more profitable to operate out of. Both brothers planned on meeting in Cleveland twice a week to exchange packages. They could deliver those exchanged packages to the correct business in either NYC or Chicago. Now that they had the offline portion of their business model worked out, they would need to take payments online. In order to collect the fees for this NYC-Chicago courier service, Rod and James set up a website with the intention of being able to have customers pay them online. They would also have the ability to track their specific packages, no matter which brother is carrying them. Everything was upfront, and there were no conflicts with their intentional “double brokering” shipping business model. After going through the process of setting up their businesses with the New York and Illinois State Departments, the brothers filled out many merchant account applications. Every response was a denial because their courier services were considered to be “high-risk”. Each denial bewildered the two brothers. It was hard not to take things personally…especially when each successive denial was a cut to their entrepreneurial spirit. Both brothers had excellent credit And they had business plans showing exactly how their businesses would work. The two brothers even paid a “business strategic consultant” and a “business plan lawyer” out-of-pocket to make sure their business plan was solid. The brothers honestly thought they had all the bases covered. They were more than ready to get a business merchant account. They had done everything correctly. Yet, still the banks denied them a merchant account due to being “high-risk”. How frustrating to these new entrepreneurs! The business plan was golden! Why Do the Banks Deny Merchant Accounts to People with Well-Thought Out Business Plans? What if the packages are damaged? What if one brother gets into a vehicle accident? What if the package is delivered to the wrong address? What if the customer demanded a refund just because the service is not fast enough? What if their online payment system is hacked? Regardless of the reason, most banks are expected to eat the costs of the vast majority of chargebacks. Because of this, banks are ‘once bitten, twice shy’ for more and more merchant industries each year. Failed online transactions (and even acts of “friendly fraud” of merchant accounts online) makes banks hesitant to assist most online or partially-online businesses. This is the blatant reality of entrepreneurs starting a new business. No matter how you look at it, Rod and James still need a merchant account to run their business… and they are getting desperate to find a solution. Who Can Help These Brothers Get A High-Risk Merchant Account? 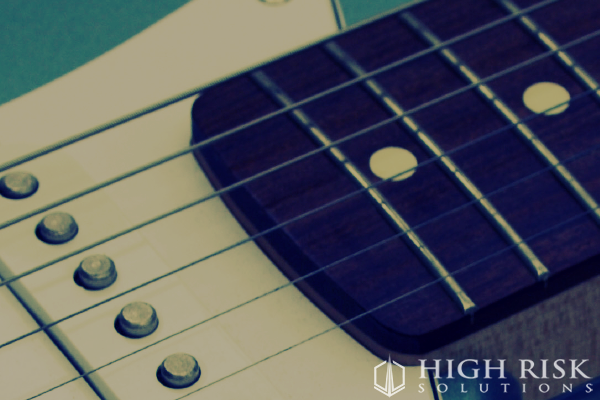 High Risk Solutions (HRS) was willing to assist Rod and James in finding the merchant account solution that best fits their needs. In minutes, they were getting started with the merchant application. High Risk Solutions is about helping people get started; unlike HRS, there are a lot of merchant account providers that take advantage of people like James and Rod (and you) by promising free access or the lowest rates, yet delivering headaches and disappointment. These types of businesses usually take advantage of anonymity, shielding themselves with a location in a foreign country…where laws are less clear, and justice is much more difficult to attain. However, High Risk Solutions is US-based; and therefore, is bound by meaningful rules about security and procedure. Trustworthy. Better than that, High Risk Solutions knows that if you are provided with quality service, that you will continue to work together with them to ensure your success. Passionate. Rod and James were able to get the merchant account they needed, got their business licenses for selling online, and even got their first job of shipping a box of organic e cig juice from Chicago Heights to a hookah bar start-up just outside of New York City in Philadelphia. Both brothers were excited and proud of their new online payment system on their website thanks to the helpful assistance of High Risk Solutions. It makes sense that if your business is successful using High Risk Solutions, then you will continue to do what works. No need to fix what isn’t broken. What is a High-Risk Merchant Account from High Risk Solutions? It is a type of bank account applied for by a merchant for the purpose of facilitating the transfer of funds from a paying client’s credit card into the merchant’s bank account. 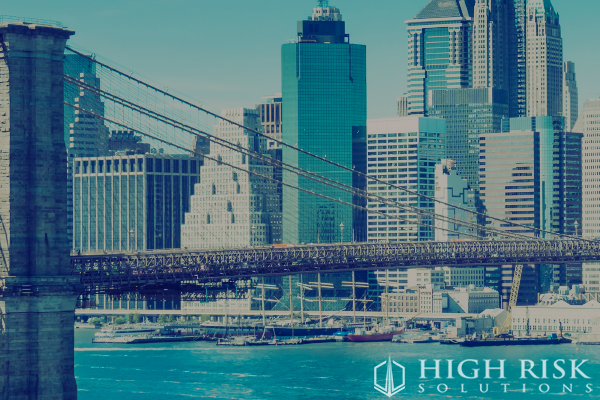 High Risk Solutions has relationships with numerous banks, both offshore and domestic, and has been providing credit card processing services for businesses since 1995. Trust their expertise and experience the High Risk Solutions Difference for yourself today! Sign up for the application today.